about the reminants of another past time. to all the art that hang on the walls. Like gods in the balcony watching over treasured gifted children. and flap their wings at night when no one is around. Jonny so long at the fair. 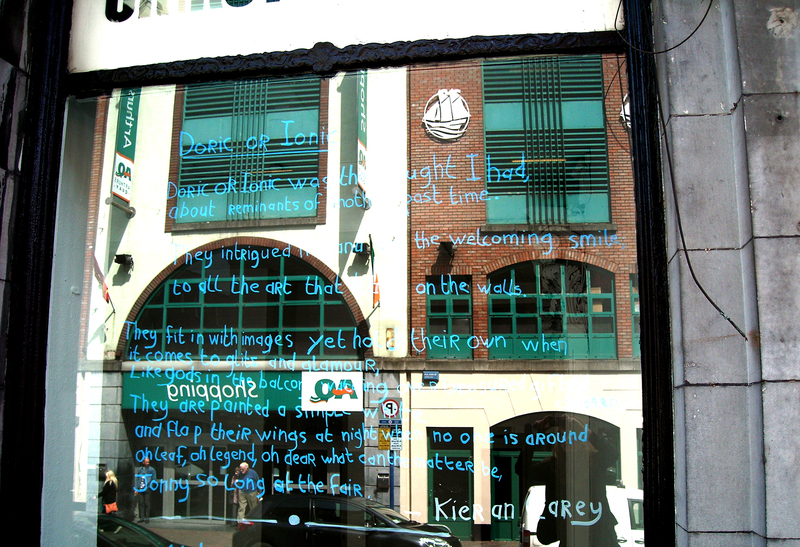 This entry was posted in Uncategorized and tagged Art, Chalk, Kieran Carey, Limerick, Ormston House, poetry, Prequel Programme, street, street line critics, writing. Bookmark the permalink.